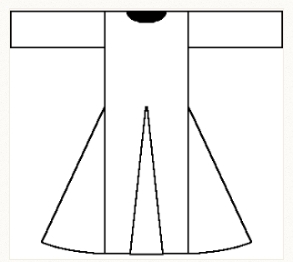 This is about as medieval-looking as I need to be, and I'm sharing my pattern here in case it comes in handy for anyone else. At the June Faire there was a lady whom I stopped to admire, who was straight out of the 14th century from her head to her toes to the embroidery frame on which she was stitching. Nothing about her wasn't an enchanting glimpse to a byegone time, and then I heard her say to the person she was talking to, "I'll message you on Facebook!" And I was shocked! She did not look like she could possibly know anything about Facebook! Pattern fits a 38" bust. 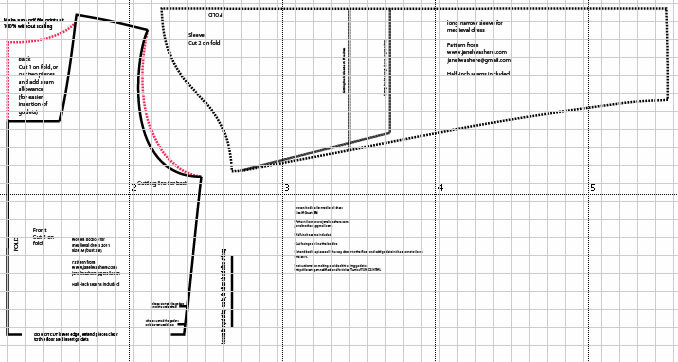 The waist is only slightly tapered and the skirt width is determined by the godets you put in. My upper arm measurement is 12.5"
The cutting line for the orange sleeve produces a finished product that is intentionally snug on me. Click the article for instructions of how to put them in! Basically you just extend your bodice pattern pieces to the floor, then insert huge wedges into all the seams to flare the skirt out. I only put them in the sides and back on this one, that was enough. I didn't like to have one in the front seam. This is the underdress made from the same pattern. It looks VERY medieval with the "puddling" at the bottom because it hasn't had the lower edge trimmed yet! Blue dress made from this pattern, only changing the neckline to a round shape, and short sleeves. 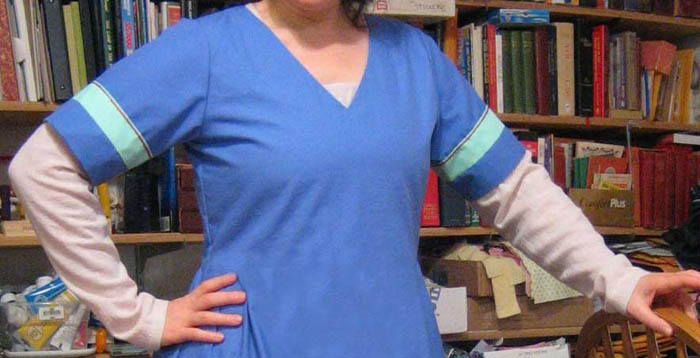 I added a gathered skirt which didn't look right at all, but I love how the top and sleeves look here. Photoshop to the rescue, and the gathers are no more. 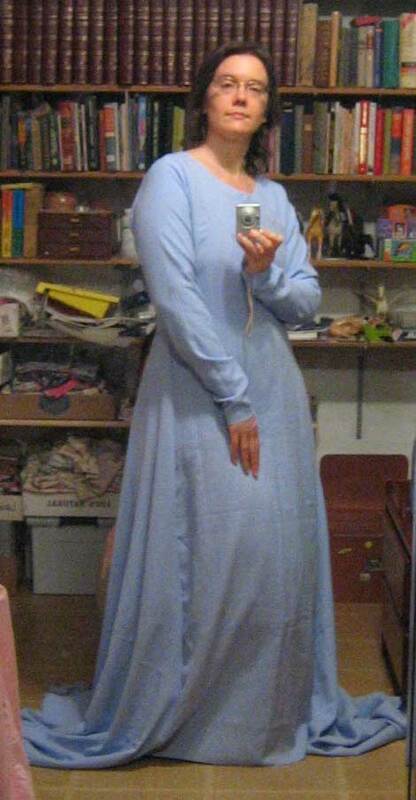 This pale-colored underdress is from the same pattern and shows how the sleeves are a little too long, which is what I wanted, and snug enough around the wrists to stay up.